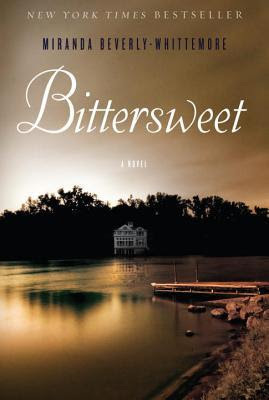 Summary: Suspenseful and cinematic, Bittersweet exposes the gothic underbelly of an idyllic world of privilege and an outsider’s hunger to belong. I was taken by the summary for this book and looked forward to reading it and now having finished it, I feel it was just an okay read. I liked it but didn't love it. I figured out fairly early on what one of the main Winslow secrets was and I didn't mind that at all. I think what held me back from really loving this book was Mabel as the narrator. I don't need to like a character but I do need to find them compelling and I found little in Mabel that was compelling. She was cloying and something of a manipulator so that even when those around her were revealed to be severely in lack of redeeming qualities, it really did nothing to make me take on care of her plight or point of view. She very much reminded me of the narrators of Alys, Always and & Sons the only difference I found was that she seemed less unreliable a narrator than they. I freely admit that I'm not much a fan of ingratiating climber types so it really takes a lot for such a character to win me over. In the end, the other nasty Winslow secret is resolved in a way that I found a little unsatisfying though tidy and Mabel does grasp and hold her brass ring and is granted becoming a Winslow. It made me hold her in no higher regard. I'm glad I read this and I do think it was a good poolside or day at the beach book. I'd recommend it for fans of the the other books I mentioned here and also those who like twisted family tales with the outsider looking in and longing to be a part. It won't change your life but it's not a bad choice to pass a weekend and chat about on Monday morning.